? Yes--and some of it is FREE--and of course, some you have to pay to receive. Some Internet providers offer a deal that enables you to watch TV programs through their service on your computer for an additional fee. If you are reading this article about FREE OTA TV, you might be looking for a way to supplement your over-the-air channels with a few non-broadcast channels and/or other media, e.g. TNT, TBS, FX, cables news, videos--for free, of course! Some online-television channels or sites are free, however, you still need an Internet connection (hopefully you have at least DSL or cable). 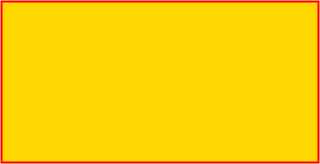 These sites provide some free-television viewing by displaying banner advertisements, video advertising, and commercials before a video or show. Some have switched to the HTML5 video player (check for updates and exceptions) for all devices. For some websites, you may need to download Flash, Silverlight, or some other player or proprietary plug-in to view. (You may have to install a FREE plug-in and some have "pluginads"). Most newer computers should have the necessary components to enable excellent sound and viewing experiences. You need to decide how much you want to spend on your Internet TV connections. You need to compare prices from your Internet service provider and other sources mentioned in this article. Are you bundled (phone,TV, Internet) What is the best way to meet YOUR viewing needs? Compare $ +/-. Works through your house electrical wiring. Don't have a "smart TV? No problem! Use caution: Some of these "pluginads" contain ad/malware or a virus or other nuisance and/or serious malicious content! If you want to view the show or video on your TV instead of your computer screen, you will need a HDMI cable or other cable to connect your computer to the TV. Check your TV (and your computer) to see what types of input/output connections the devices will accept. 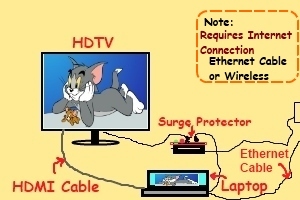 There are other ways of connecting your HDTV to the Internet to get videos and TV shows (e.g., Ethernet Powerline Adapter, set-top-box). Several variables (e.g., Smart TV [web browser with Wi-Fi built-in the set], devices [you own or will buy, e.g., set-top-box], Wi-Fi adapter, Internet provider, free or pay) will determine what options are available to you. Don't have a Smart TV? There are many streaming set-top-boxes (STB) (you purchase) on the market to provide you with TV from the Internet, e.g., Roku, Chromecast, Nvidia Shield Android TV, and Amazon Fire TV. There are many services (you pay) that provide content, e.g., Netflix, HBO Go, Amazon Instant, Google Play Movies & TV, Hulu and others, through your computer or STB. supplying many FREE movies, clips and other videos. Some just use YouTube videos and other FREE TV and video websites to supplement their FREE OTA HDTV.